10.or has introduced 10.or D smartphone in India which comes with 3500mAh Battery and Fingerprint Scanner. 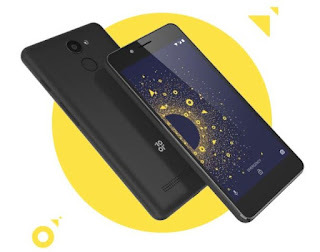 10.or D features a 5.2-inch HD display powered by 1.4GHz quad-core Qualcomm Snapdragon 425 processor, coupled with Adreno 308 GPU.It has 2GB RAM, 16GB Storage and 3GB RAM, 32GB Storage. On Camera, it has a 13-megapixel rear camera with LED flash.and 5-megapixel front-facing camera. Dual SIM device runs on Android 7.1 Nougat out of the box. Packed with a 3,500mAh battery, which the brand claims can deliver up to 70 hours of audio playback, up to 25 hours of talk time and up to 10 hours of web browsing. 10.or D’s 2GB RAM is priced at Rs 4,999, while the 3GB model is priced at Rs 5,999. will go on sale for the first time on January 5th at 12pm on Amazon India. Amazon Prime users will be getting a one-year additional warranty on the 10.or D as well.